Your blogger as she appears on site nowadays. Today is the 1st of May and rather than celebrating the first day of summer by well-dressing, Morris or Maypole dancing, I have been bogged down doing Head of Year pastoral report comments for NHSG’s Year 9. Hey, ho! Life cannot all be blogging and site visiting, I’m afraid, which will explain why the posts have dried up a bit lately. There is an allusion towards the end of A Midsummer Night’s Dream about the lovers rising early to ‘observe the Rite of May’. In May Day celebrations, washing your face in the early morning dew is said to have magical consequences. A woman who followed this tradition would be granted a view of the face of her future husband. Musing on the tantalising nature of such a revelation, I thought I would break a self-imposed rule for you all today and post one or two ‘real time’ site photographs taken this week. Firstly for their exciting content, secondly because they hint at the ‘future face’ of the new build and thirdly because I want you to be the first to see it. So remember, thanks to Wates’ Peter Wilson, you saw it here first! 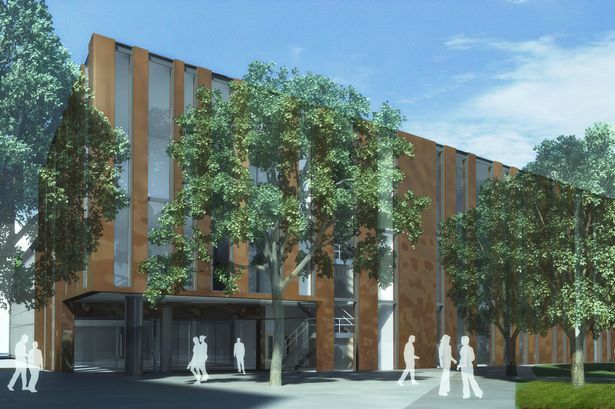 Artist’s impression of new build with bronze cladding in place. You may remember that the architect’s design for the new building intersperses tinted glass with columns of weathered metal cladding to complement all the trees on the site? 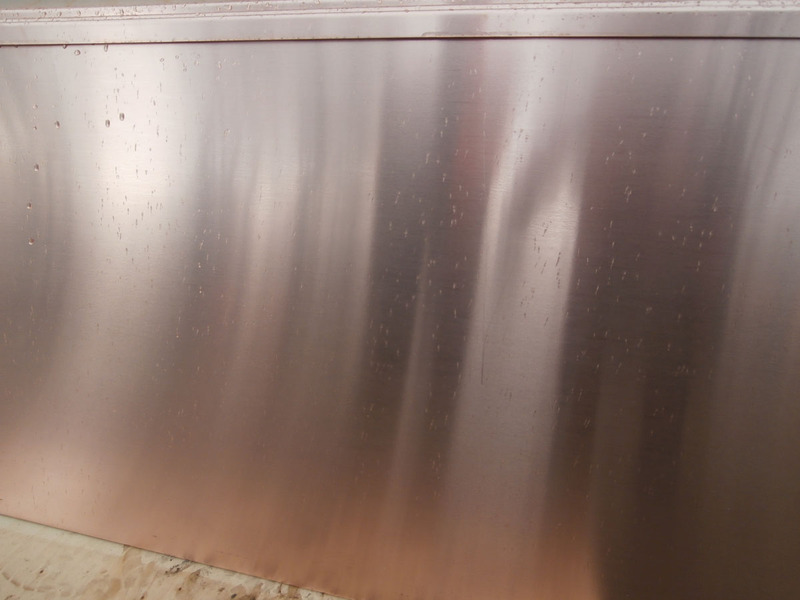 Well, after weeks waiting for it, the first pieces of bronze cladding arrived on site this week. I was rushed this Wednesday because, in addition to my reports, I was travelling down to Trust Office in London the following day. My regular question recently of “Is any cladding up yet?” was met again by a “No, not yet” only this time Peter added, “But it’s here”. 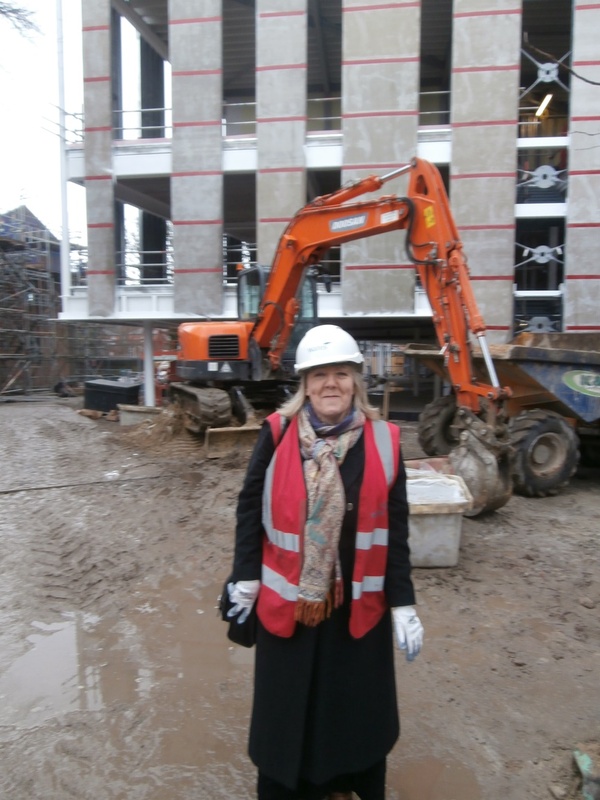 And, sure enough, when he took me around to the side of the new build beside the Sports Hall, there it was, as shiny as a brand new penny. 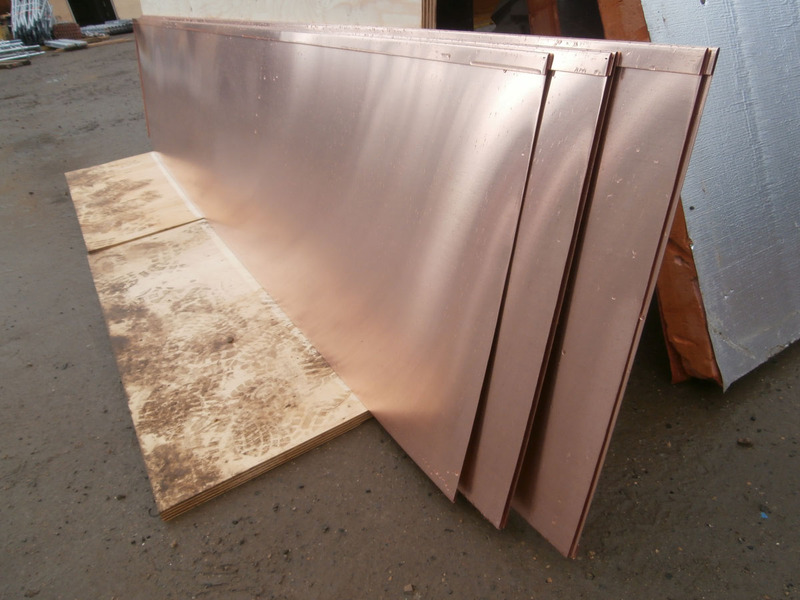 The first pieces of bronze cladding have now arrived on site. In their virgin state, they are as shiny as a brand new penny. The colour changes marvellously when you stand in front of them and they reflect and refract your outline back again. 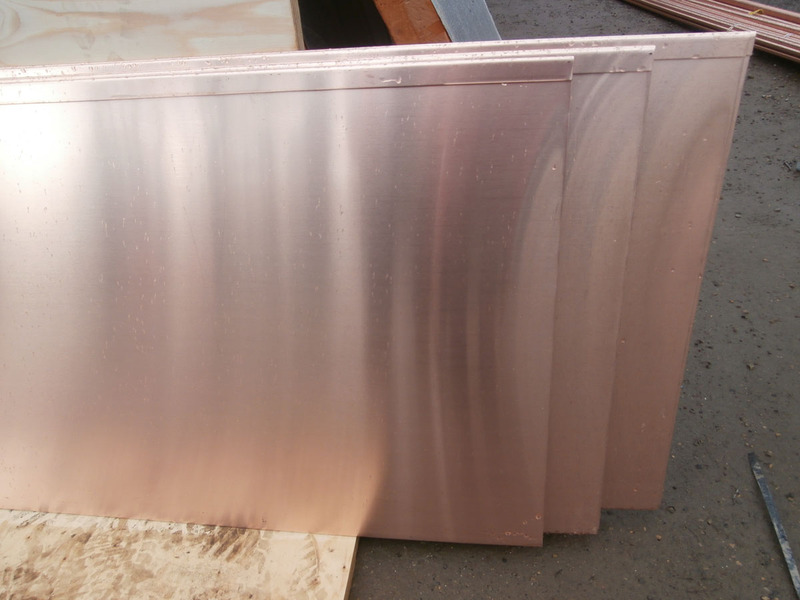 The nature of this particular metal is that in time the colour will deepen to a shade of dark bronze as natural as the tree trunks. It’s possible to see this for yourself first hand on the building materials sample board on the wall in the Wates Site Office Meeting Room. But, it has to be said, for a while it’s going to look very, very bright! 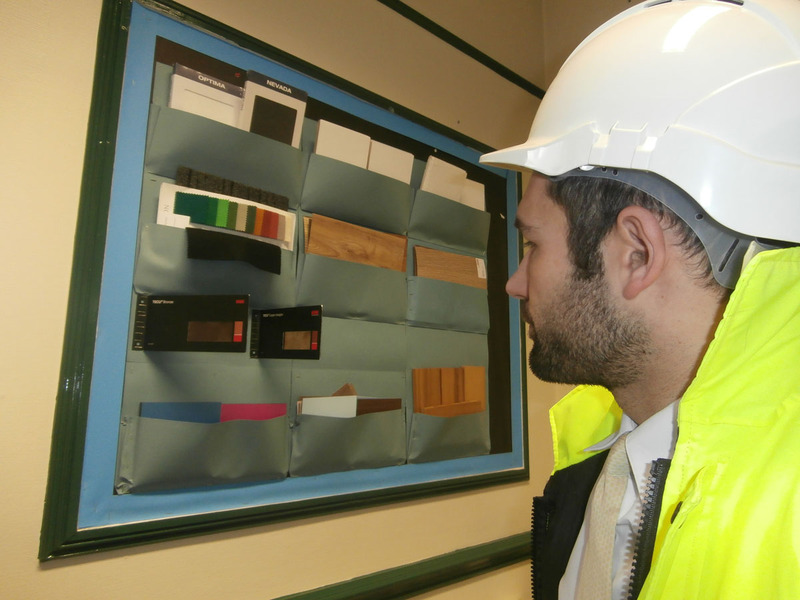 Nick White, Project Manager, shows me samples of new and weathered bronze cladding on the building materials board. Also looking very bright at the moment are the latest blog analytics which I thought you might be interested to hear about. Our little digital community has grown an awful lot in the last three months. 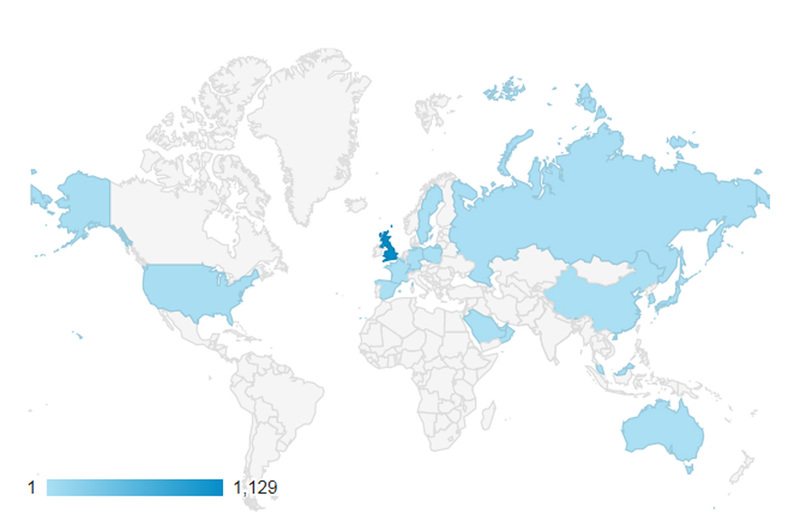 As of April 27th, the up-to-date news of the renovations on the Tankerville site has now been read by 423 different people living in 110 different cities in 20 different countries across 5 continents. Analytics for site usage from Jan 27th to April 27th 2016. 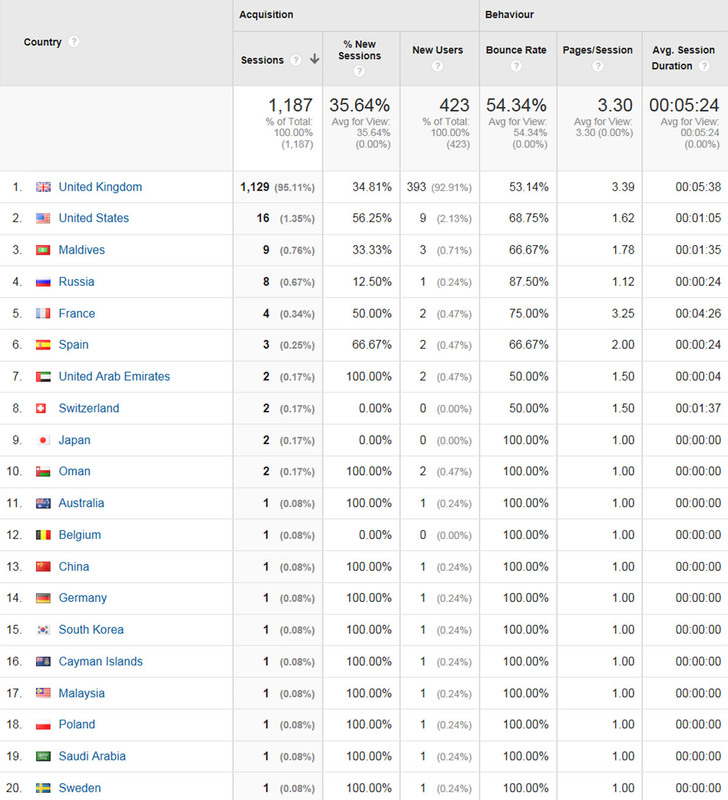 Since Jan 27th, the blog has been read in 20 countries.